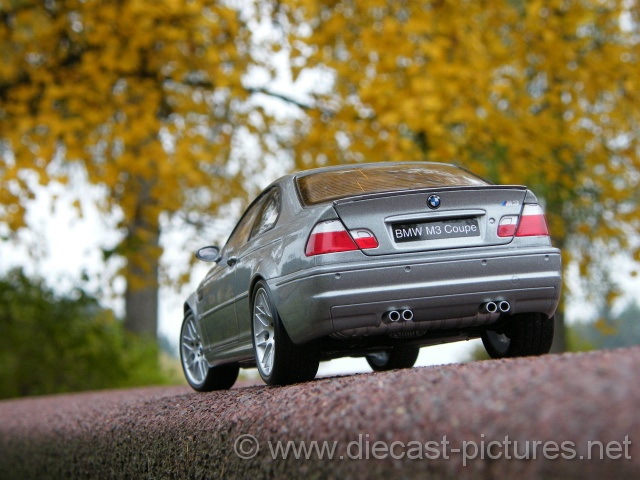 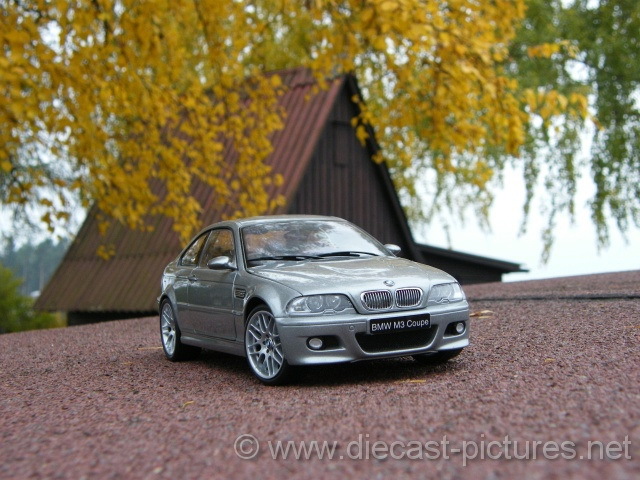 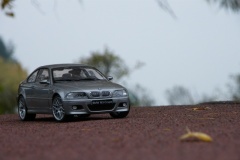 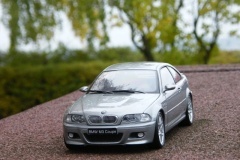 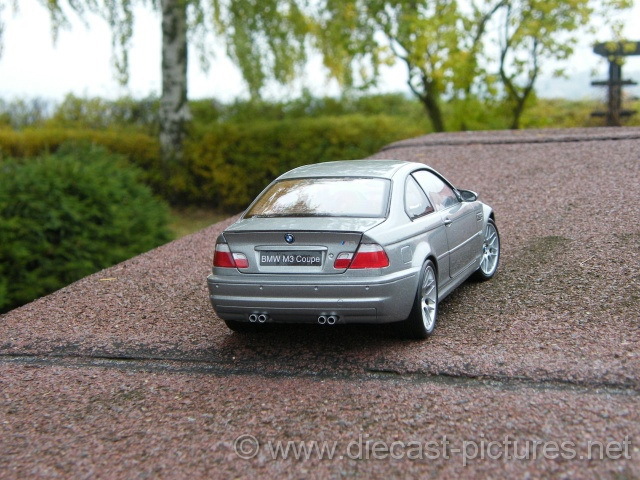 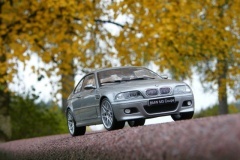 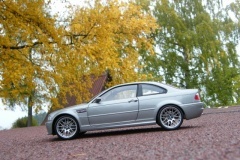 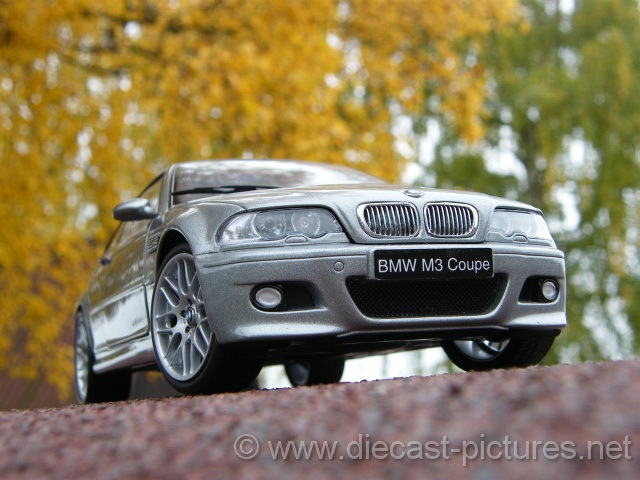 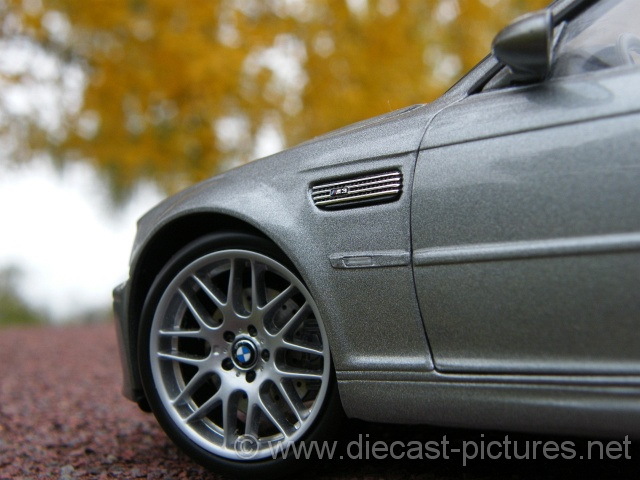 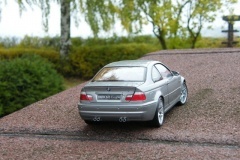 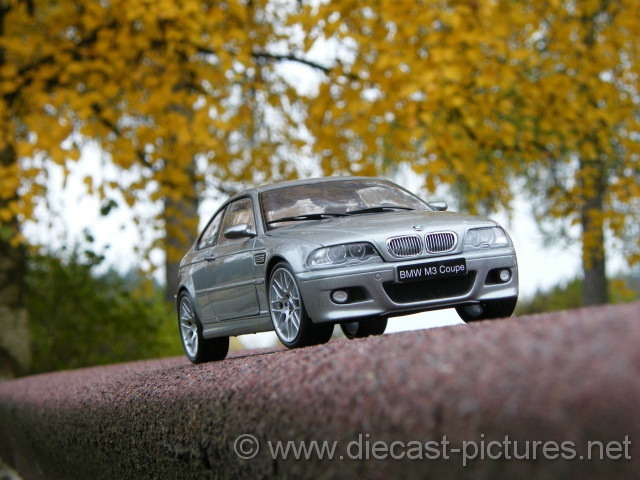 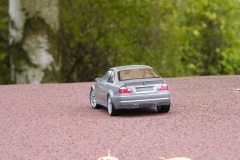 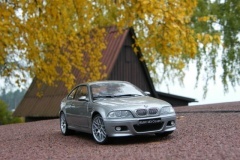 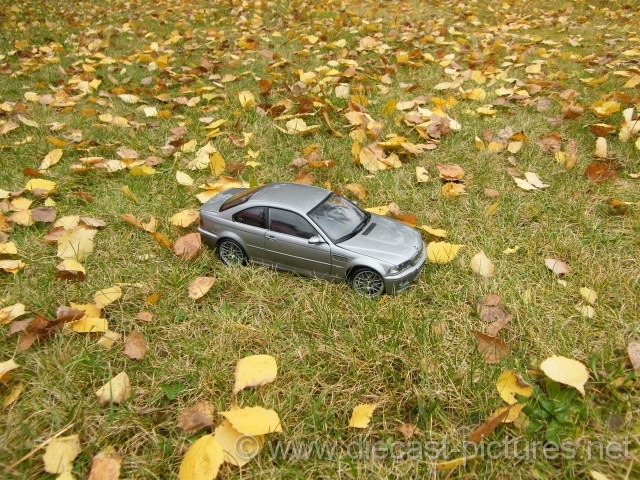 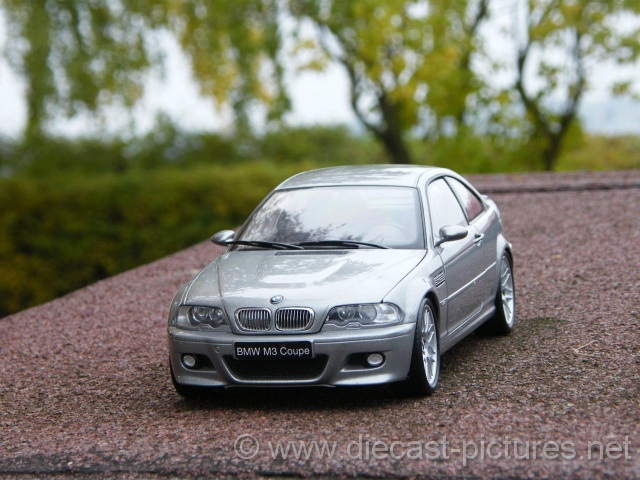 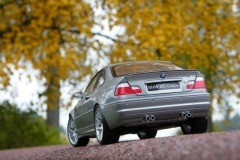 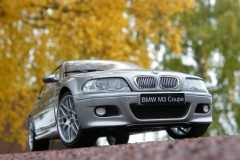 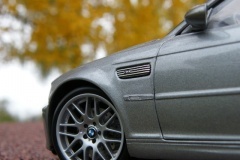 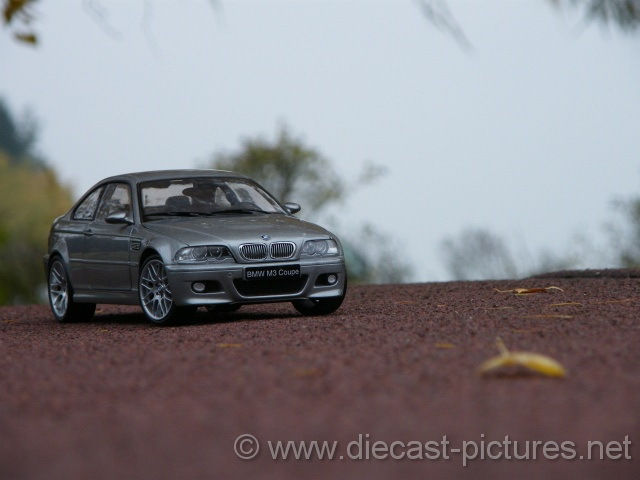 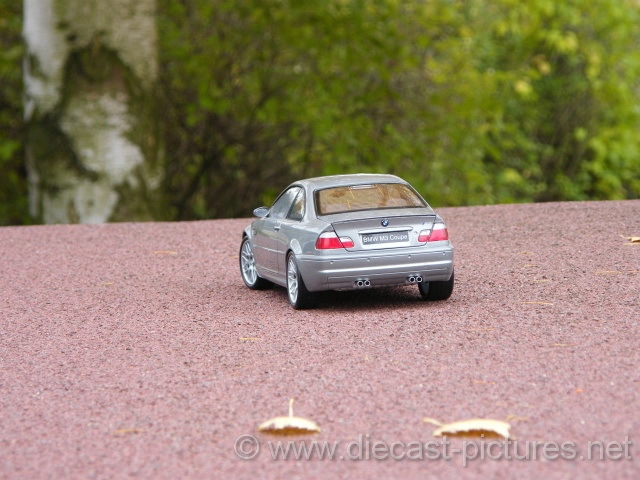 BMW M3 Coupe E46 Silver Kyosho 1:18 posing on a roof. 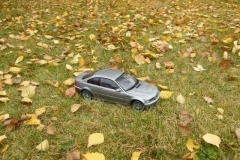 Notice the beautiful autumn colors behind the car. 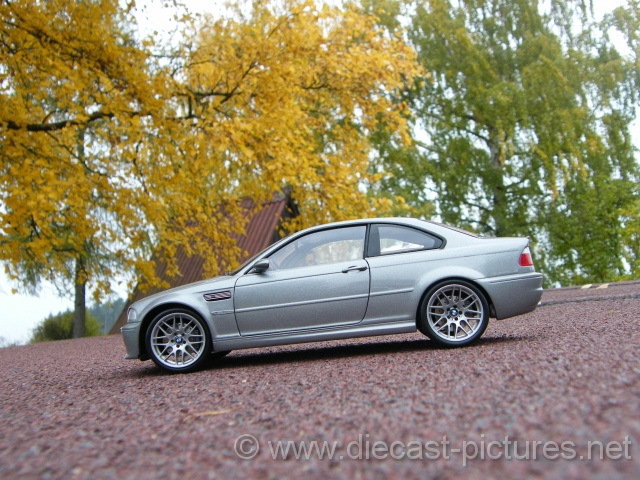 This BMW M3 looks very good and is very photogenic.